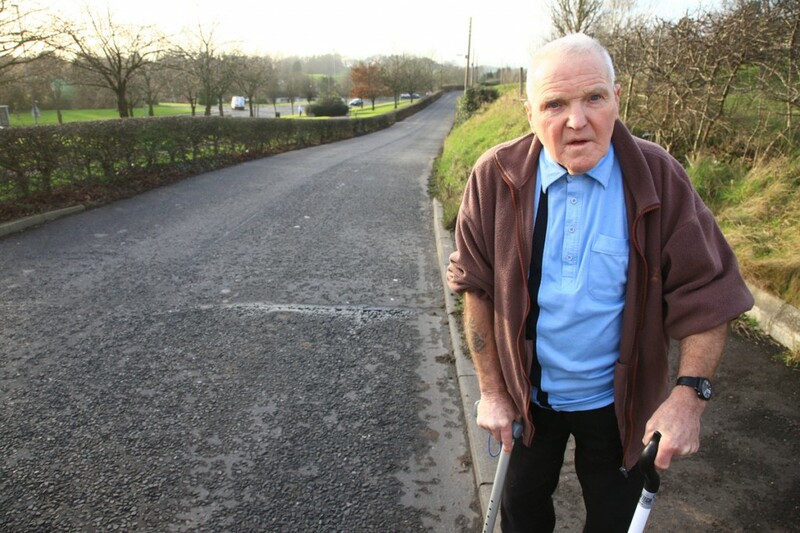 Eighty-six-year-old Samuel Millar needs to cross the Old Milltown Road just outside Belvoir each day in order to reach shops on the far side of the estate from his Millburn Court home. However, because the pensioner is unsteady on his feet and suffers from several conditions, he says he fears for his life each time he does, as there are no road crossings there to help him or slow speeding drivers. “I have lived in Belvoir for 30 years and in Millburn Court for 19 years now but there has never been any crossings put in around here in that entire time. I am on a war pension and don’t think I am asking for much in the big scheme of things. Samuel said he had tried to get local councillors to back his calls for the measures to be installed but to no avail. “I have gone to Castlereagh Council to try and get councillors to help me out several times but each time I’m told they are busy and can’t help me. They just don’t seem to be interested in my problem. No-one seems to care unless it’s election time. “I’m getting nowhere and nothing is being done to help me. I’m sure I’m not the only person who needs help crossing that road as well, so it’s not just me calling for this. A Roads Service spokesperson said the organisation had recently carried out a review of previous assessments on the Old Milltown Road. “These considered various factors including the speed and volume of traffic; the previous three years personal injury collision statistics and environmental factors such as the presence of schools, playgrounds, hospitals, clinics, shops, public buildings and whether or not the road in question is used as a through route.